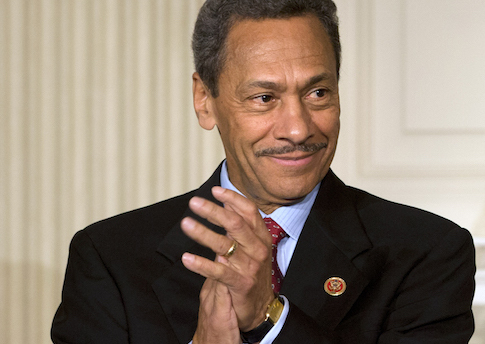 Federal Housing Finance Agency (FHFA) Director Mel Watt said on Wednesday that he did not see the government relinquishing control of housing giants Fannie Mae and Freddie Mac anytime soon, even as the Democratic chairman of a Senate committee urged him to pursue that course. Watt told the Senate Banking, Housing, and Urban Affairs Committee at a hearing that "conservatorship cannot, should not be a permanent state," but added that "it is the role of Congress to define what a future state is." Fannie and Freddie were placed under conservatorship, or government ownership, by the FHFA in 2008 after taxpayers were forced to bail out the companies with $188 billion in the wake of the mortgage meltdown. Sen. Mike Crapo (R., Idaho), the ranking Republican on the committee, expressed concerns that the "old failed status quo is beginning to take hold again" as Fannie and Freddie—also known as government-sponsored enterprises (GSEs)—continue to purchase a majority of mortgage loans in the housing market. Legislation that would have gradually eliminated the GSEs—but still exposed taxpayers to risk, critics say—stalled in the Senate earlier this year. Committee Chairman Tim Johnson (D., S.D.) suggested a new course in his opening statement, pressing Watt to negotiate with the Treasury Department about ending the conservatorship "if Congress cannot agree on a smooth, more certain path forward." It was a bold request from the outgoing leader of the committee. Watt downplayed the chances of that happening. He told reporters after the hearing that any such talks would have to be initiated by Treasury, not him. He also said he would rule out ending the conservatorship in the short term, but "long term I might not rule it out." The prospects for reform of the GSEs look dim for the upcoming session of Congress. Republicans and Democrats have sharply conflicting views about how the mortgage market should be altered. Watt also defended his announcement last month that Fannie and Freddie would soon return to guaranteeing loans with low down payments. Critics warn that the move could create the preconditions for another financial crisis like the one in 2008, when risky "subprime" mortgage loans defaulted in large numbers. "We are not making credit available to people that we cannot reasonably predict, with a high degree of certainty, that they will be able and willing to pay the mortgage," Watt said. He added that the borrowers of the loans must have "compensating factors," such as housing counseling or strong credit histories. Watt is under heightened pressure from Democrats to ease lending standards for low and middle-income borrowers. Sens. Elizabeth Warren (D., Mass.) and Mark Warner (D., Va.) sent a letter to Watt on Tuesday urging him to open up access to mortgage credit. "Millions of creditworthy families are struggling to get mortgages and buy a home," Warren wrote. "We believe FHFA can use its existing authority to extend credit to responsible families and, at the same time, prepare the housing finance system for the end of government conservatorship." The full guidelines for low down payment loans will be unveiled in December, Watt said. This entry was posted in Issues and tagged Fannie Mae, Freddie Mac. Bookmark the permalink.